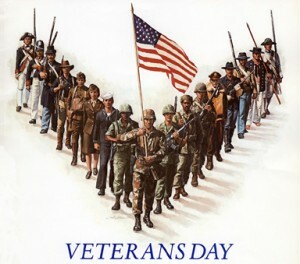 [November 11, 2013] Today we recognize all those who have served in the US military. I believe that it is the duty of senior executive leaders to pursue significant and important activities involving their employees who are veterans. It is up to leaders to personally deliver the message of sacrifice, service, and patriotism. Across the nation, we will be witness to parades, cook outs, speeches, family time … all in the name of recognizing those in the military that have help make the United States what it is today. To deliver this message, I’ll be traveling to Fort Bragg, North Carolina today to speak with the many Soldiers that work in North Carolina area. The local town, Fayetteville, will host a parade and there will be a ceremony on Fort Bragg itself. The community is highly supportive of the troops that work on the installation – being there will certainly be the highlight of my day. Senior leaders are active. Leaders can lead only if they are seen. This is another opportunity to show that they support the people that work with them.